Prostitution and solicitation offenses have significant penalties. They usually involve undercover officers posing as prostitutes or johns to catch individuals involved in these offenses. If you have been arrested for prostitution or solicitation, you should speak with an experienced Orlando criminal attorney at your earliest opportunity to learn about your rights and the defenses that may be available to you. Prostitution is defined as the giving or receiving of the body for sexual activity for hire but excludes sexual activity between spouses. The level of the offense and penalties can vary depending on whether or not the defendant has been previously convicted of the offense. 1) Prostitution is misdemeanor of the second degree punishable by up to 60 days in the county jail for a first violation. 2) Prostitution is a misdemeanor of the first degree punishable by up to 1 year in the county jail for a second violation. In many cases involving prostitution, a person may be charged with solicitation. Solicitation occurs when a person solicits another to commit an offense prohibited by law and in the course of such solicitation commands, encourages, hires, or requests another person to engage in specific conduct which would constitute such offense or an attempt to commit such offense commits the offense of criminal solicitation. The crime of solicitation is punishable based on the level and type of criminal act solicited. If you or a loved one has been arrested for prostitution or solicitation, speak with an Orlando criminal attorney. In many prostitution and solicitation cases, a properly prepared defense by a criminal lawyer will result in either reduced penalties, reduced charges, or a dismissal of the charges. Even in prostitution and solicitation cases where the evidence of guilt is overwhelming, a properly prepared defense and presentation of mitigating circumstances by an Orlando criminal attorney can result in significant decreases in the penalties you receive. Florida Statute 796.001 – Offenses by adults involving minors; intent. Florida Statute 796.04 – Forcing, compelling, or coercing another to become a prostitute. Florida Statute 796.05 – Deriving support from the proceeds of prostitution. Florida Statute 796.06 – Renting space to be used for lewdness, assignation, or prostitution. Florida Statute 796.07 – Prohibiting prostitution and related acts. Florida Statute 796.08 – Screening for HIV and sexually transmissible diseases; providing penalties. Florida Statute 796.09 – Coercion; civil cause of action; evidence; defenses; attorney’s fees. 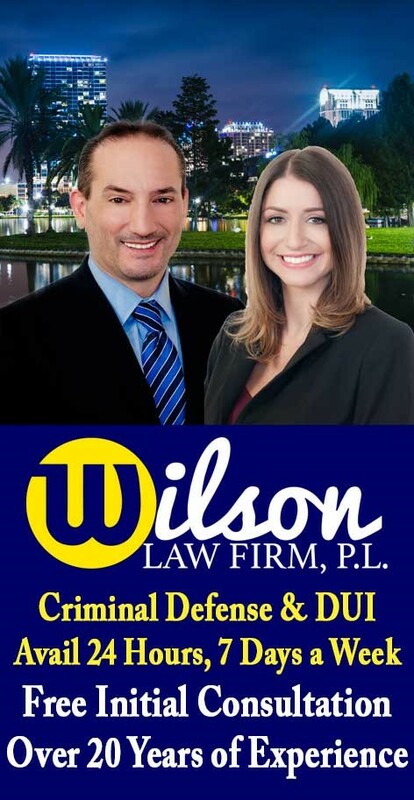 Prostitution and Solicitation – The Wilson Law Firm provides a free initial consultation with an experienced Orlando criminal attorney. Call us today to speak with an Orange County criminal lawyer about the legal process and your rights.